Twice i have worked with pro charter and due to my non committal friends i did not get to use the service. They were great to work with and patient while i tried to secure numbers of people. Reasonably priced and better than most other places i called. Tarrick and his excellent team at All Pro Charter were absolutely fantastic to work with. We engaged them to handle the transportation associated with an inurnment ceremony at Arlington National Cemetery and to then take the many out-of-town attendees to a post-ceremony celebratory meal followed by a guided and narrated nighttime bus tour of downtown Washington, DC. Our driver, Jamal, was a wonderful true professional with great customer service and care and the tour guide,Ellen, was both accommodating and extremely knowledgeable. The entire matter, starting with planning and scheduling through execution and service follow-up could not have been handled better. 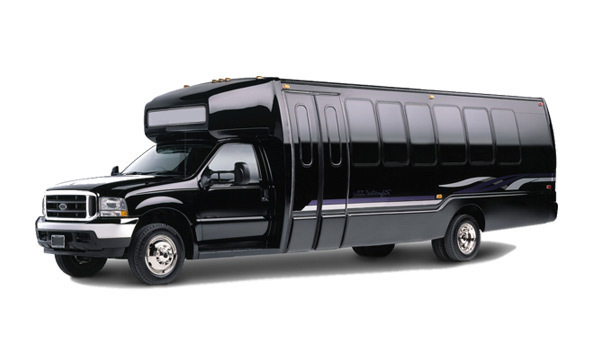 I would highly recommend this company for anyone needing true professional and high quality group transportation. Tarrick and his team are a wonderful group on professionals. They got us everywhere we needed to be on time - despite the blizzard-like conditions! I highly recommend this company for business or for pleasure. You will be thoroughly satisfied and very impressed with their service and their vehicles are top-notch quality. Tarrick and his team are pros. We contacted him relatively last minute, and he was able to pull a transportation package available very quickly. He also worked with me to come up with a scenic route tour of DC to creatively kill time between a wedding ceremony and reception. I would highly recommend him! First, the driver was on time and got out to assist passengers. The bus was immaculate. The driver got us to our destination and back in excellent time. This was a terrific charter. I would use them again if I need another charter. Rented a bus for a winery trip, the bus was clean, had reclining leather seats, a pull down table on the back of seat on front of you, had wifi and bluetooth to play your music. Tarrick at All Pro was very responsive, went above and beyond to help organize our trip with the wineries. He was recommended to me through a friend and I would recommend him as well. I would 100% work with All Pro Charters again and will be recommending them to anyone I know in need of transportation services. Their buses are top notch, clean, run on time and they offer very competitive rates! Tarrick was also amazing to work with, he is very personable and professional! Although we had originally just reached out just for transportation Tarrick also connected us with our makeup artist as well as a lighting vendor for our reception. All around great experience and couldn't have been happier! All Pro Charter has a very strong relationship with Capital One. They do amazing every time!